I am extremely proud of you for taking the step to improve the quality of your life! You have conquered the hardest part! I love empowering individuals to become their better selves. I define self- empowerment as choosing to focus on solutions rather than the challenge itself. Life was designed to be complex and strategically crafted to make an individual be their very best self. Just as seasons come with a variety of known and unknown factors, so is life. Life is filled with ups and downs, twists and turns, highs and lows, and a myriad of conflicting feelings. At times life can make one feel as though they are off track. Sometimes, you are truly off track and other times, being off track was simply part of the process. In this life, there are many aspects that us humans are unable to control despite how hard one may try. With that said, there are several facets that we can influence. Sometimes we just need someone from outside our circumstance to help refocus our attention to those capabilities. The great thing that I have learned, is that life doesn’t stop until you do. Life is filled with opportunities for growth and development. I believe with all my heart that humans were also designed to be complex. Each person is filled with an individualized story of resilience and strength with the conclusion of overall victory. I enjoy working with clients to inspire them to focus on the internal strength that they are equipped with to successfully master every season life has to offer. I am a Licensed Clinical Social Worker and for over 10 years have had the pleasure of working with women, children, teens, and families to address barriers that may have caused life to appear almost unbearable. Such concerns have included but are not limited to depression, anxiety, stress, domestic violence, addiction, trauma, self-esteem, sexual molestation, peer relationships, life transitions, divorce and blended families, parenting, emotional disturbance, etc. I am trained and skilled in several types of therapy to help individuals to overcome life’s most challenging seasons and to embrace their best selves. I love to utilize practical, creative ways to engage clients in the therapeutic process. I would be honored to speak with you more about the services I provide and to learn more about your goals. I am honest and if I am unable to help with the discussed goals, I am happy to redirect you. I look forward to speaking with you soon! It is important to understand that therapy is a gift to yourself. It is the moment you give yourself permission to care for you. Therapy is not easy and requires a commitment. Results do not happen overnight however it does happen yet gradually. Therapy is private and there is a confidentially clause that is upheld at the start of this process. It requires a goodness of fit between therapist and client. Therapy begins with building trust and open communication between client and therapist. It is my goal to create a safe, comfortable environment to help you along this healing journey. YOU CAN LIVE AN ABUNDANT LIFE FILLED WITH JOY, PEACE AND CONTENTMENT! Aysia has been amazing so far in really helping me not only solve my problems, but also by equipping me with the tools required to maintain consistency in my mental well being. The BEST counselor anyone could ask for. She is always professional and bases each session off of how you are feeling and interacting at the moment. She truly listens and remembers things you told her from multiple sessions in the past. I didn't think progress and change were possible, but with her help, she showed me that it was possible. if you are fortunate enough to be matched with Aysia Graves do not pass her up! I enjoyed my session with Aysia and feel I will benefit from her expertise and knowledge. I think it will help me understand how to effectively deal with everyday life and problems I face with more knowledge about ways to respond instead of how I have been. Would you like to write a review for Aysia Graves? 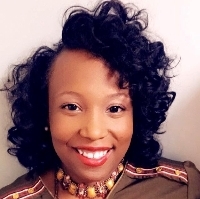 We'd appreciate if you can spend a couple of minutes to write a short review for Aysia Graves (MSW, LCSW). This review would be shared with Aysia Graves. It may also be posted in our website or in Aysia Graves's profile but it would be anonymous and your identity would be kept completely confidential.